was exhibited in 2016 at the WEBB Gallery, Quensland College of Art . Jonathan Tse’s contribution to Australian fine arts is being celebrated at Queensland College of Art’s Webb Gallery this August 3 – 16. 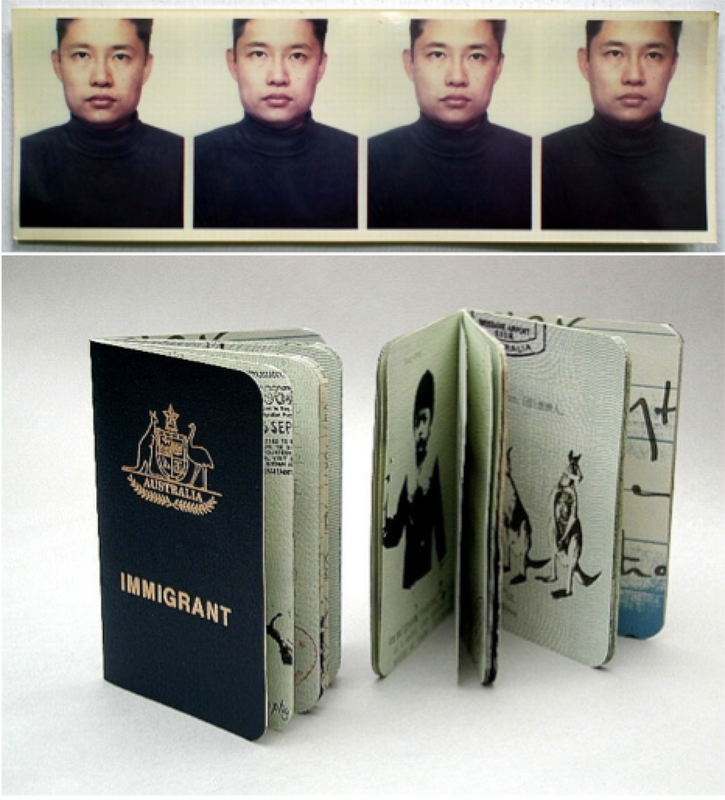 Included in the exhibition is his nationally acclaimed artists book Immigrant. This work reflects the broader concerns of Tse’s practice, one that address the complexities immigrants are confronted with in an adopted homeland. Elements of the exhibition take the form of a bower bird’s bower, the common denominator of which we are never quite confident we can identify. In a highly sophisticated use of printmaking techniques and bricolage Tse layers objects and images that draw out insoluble tensions of difference within cultural ephemera. These artworks highlight that to every action of relocation and insertion there is an equal and opposite reaction. In learning to read and write in English Tse lost reading and writing in Chinese, the language of his formative years. There is, threading through all this work, an unquestionable quality that bonds Tse to his adopted home; humour salves the tensions this quiet achiever has so capably navigated. Jonathan Tse is an artist, printmaker and maker of artists books of national standing. He has worked in the print rooms at QCA for more than twenty years. In doing so he has made a fundamental contribution to the creative outputs of so many staff and students who have developed their printmaking practice at QCA. Jonathan’s survey exhibition The Collector (see Exhibitions listing, also reviewed by Tim Mosely below) is now showing concurrently with Waiting for Jonathan – a tribute curated/coordinated by Russell Craig and Elyse Edmonds.